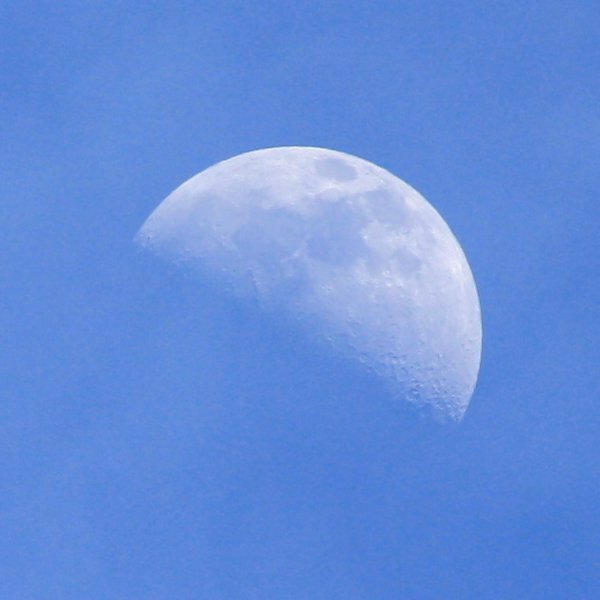 Free photo of a daytime moon in a beautiful blue sky. This picture shows the moon just about half full. You can see the craters and other features on its surface. Free picture for any use.